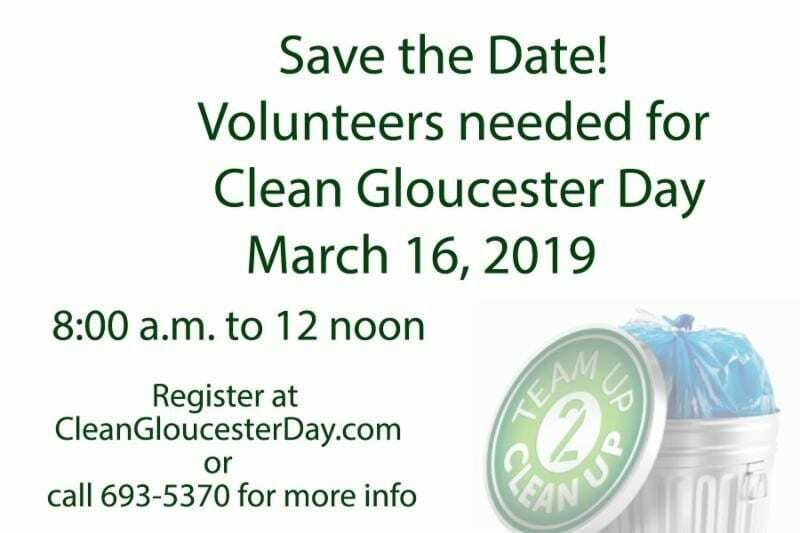 With spring on the way, Gloucester Clean Community Office announces March 16, 2019, 8 a.m. to Noon, as the official date and time for Clean Gloucester Day. This county-wide litter cleanup has become a community tradition with hundreds of volunteers removing litter from roadways, businesses, schools, neighborhoods and parks. Church groups will be encouraged to be part of the cleanup effort this year. Gloucester Clean Community supports volunteers with cleanup supplies such as litter grabbers, trash bags and safety vests. Leslie Bowie, Clean Community coordinator, commends the hundreds of volunteers needed to make the event a success. “Volunteers are already contacting our office about the event. This is a way for anyone to give back to the community; positive results are easy to see when you are out there picking up trash”, states Bowie. For more information contact the Clean Community Office at 693-5370 and/or visit CleanGloucesterDay.com to register.